Buy 44 or more for $9.49 each. 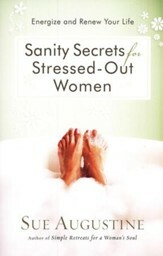 Millions of women are stuck in a vicious cycle of allowing their past to dictate their future. Most want to break this destructive pattern and move on but find it impossible to do so. Sue Augustine understands. Her own life was once held captive by a painful past. 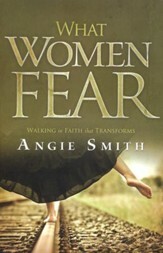 With compassion and empathy, she shows readers how to: identify, release, and change how they respond to the past; overcome the "victim" mentality; trade bitterness and resentment for peace and joy; understand God's incredible timing and direction. Fears will be conquered and dreams will be renewed for those seeking to cut loose the baggage of the long ago. A must-read for anyone struggling with a difficult past that is harming their present and crippling their future. 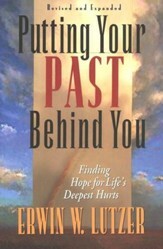 Bestselling author Sue Augustine leads the reader along a clear, manageable path to reconciliation with a painful past. Relying on biblical principles and using her own heart-rending story, she points the way to a future full of hope. Fears will be conquered and dreams renewed for those seeking to cut loose the baggage of the long ago. 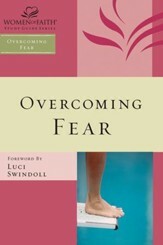 A must-read for anyone struggling with a difficult past that is harming their present and crippling their future. 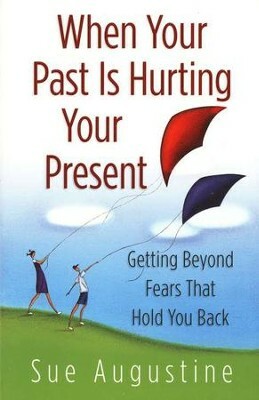 Sue Augustine is the author of When Your Past Is Hurting Your Present, Simple Retreats for a Womans Soul, and With Wings, There Are No Barriers, as well as a contributor to the Chicken Soup for the Soul and the God Answers Prayers series. An internationally known speaker at corporate and professional events and a frequent guest on national TV and radio programs, Sue also offers dynamic and humorous workshops that address issues such as stress survival, time effectiveness, and clutter management. She and her husband live in Canada. Tell us a little about yourself. As a motivational speaker at conferences and retreats for the past 19 years, I have traveled internationally offering keynote addresses, seminars and workshops to business and professional organizations,churches and Christian groups. What was your motivation behind this project? After surviving a life-threatening illness, escaping an 11 year marriage where I suffered severe physical abuse, and going through a devastating divorce, my desire was to share with others the powerful ways God enabled me to forgive and move forward out of a tragic situation to a place of complete triumph, free from the heartache and painful memories. What do you hope folks will gain from this project? My prayer is that readers will find hope, encouragement and inspiration, along with practical steps they can take over a 21-day period, to be set free from a painful past...at last! Anything else you'd like readers / listeners to know: Writing this book - my fifth - was one of the most challenging yet rewarding projects I have ever worked on. The reader response we are getting assures me it was all worhtwhile and that the steps I have presented are working miracles in lives all over the globe. Praise God for the ways He uses our past to bring us into a glorious future when we invite Him to have first place.